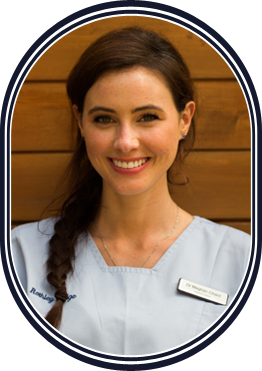 Since qualifying Meghan has been working at Rothley Lodge and has built a reputation for her professional and caring approach with her patients. Meghan is very passionate about her profession with a particular emphasis on minimally invasive restorative treatment, oral surgery and in the management of anxious patients as well as facial aesthetics. Meghan has invested heavily in postgraduate education with some of the best in the country and prides herself on keeping up to date with new treatments to offer the highest quality evidence based care for her patients. Meghan has completed the Chris Orr one year Aesthetic Restorative Dentistry Course as well as training in short term orthodontics such as Quick Straight Teeth to help her patients achieve beautiful smiles they can be proud of! Meghan has also trained with the world renowned Bob Khanna in facial aesthetics and loves to be able to offer a different kind of service to her patients with rejuvenating facial treatments. Outside of dentistry Meghan lives with her husband Simon in Twickenham and her interests include the theatre and performing arts, keeping fit and travelling.